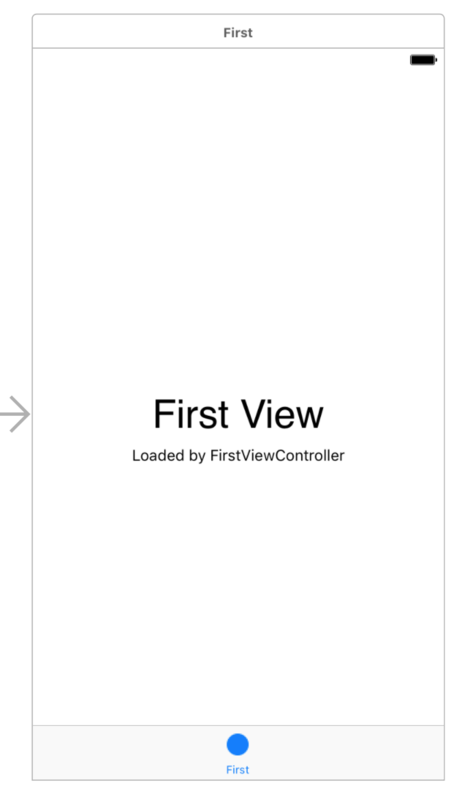 Now that we’re familiar with Autolayout and Interface Builder, we can start designing the first View Controller. It has a few labels in it by default, but you can delete them. We’ll start by adding a Label to the View Controller. In the View Palette, you can search for “label” and then drag one onto the canvas. Notably, we don’t have to tell the label what it’s size should be. 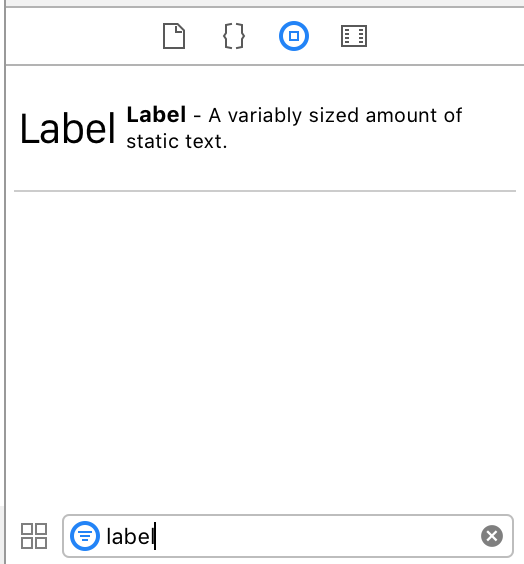 Since the label has a font size and a piece of text (“Label” at 17pt font by default), Autolayout knows how big it should be. This expected size is the label’s intrinsic size. The second button from the right (the one that looks like a Tie Fighter) lets us add new constraints. Select the label and click this button. At the top of the popup, you can control the Spacing to nearest neighbor. 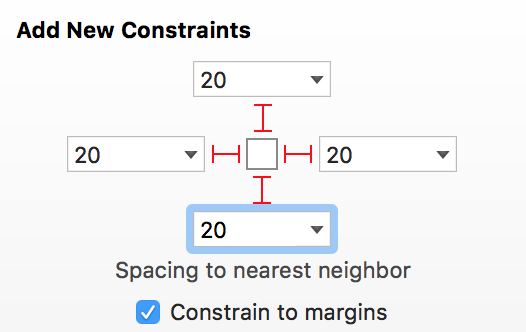 Typing a value or clicking the dotted red arrow adds a new constraint relative to the closest neighbor in that direction. In this case, we want to set the label to be 20 pixels from the top of the screen and 20 pixels from the left of the screen. Set those values and click Add 2 Constraints at the bottom. Back in the canvas, your label should have turned orange. 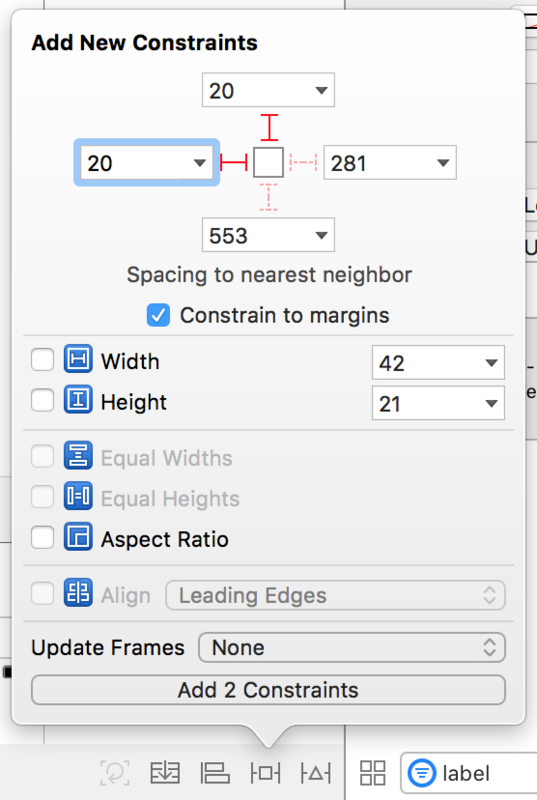 This means that it’s current frame in Interface Builder isn’t correct based on the constraints you’ve specified. Blue is good. It means your constraints are working correctly (as long as you see what you expect). With the label constrained, we can customize it however we want. 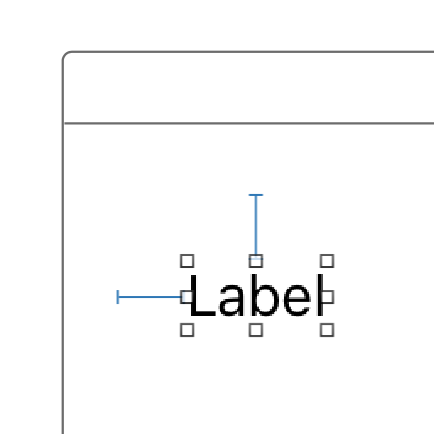 Select the label and then visit the Attributes Inspector on the left. 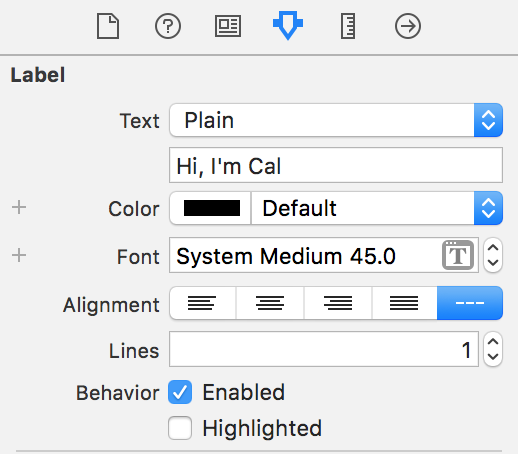 You can set the text, font, and color to whatever you like. 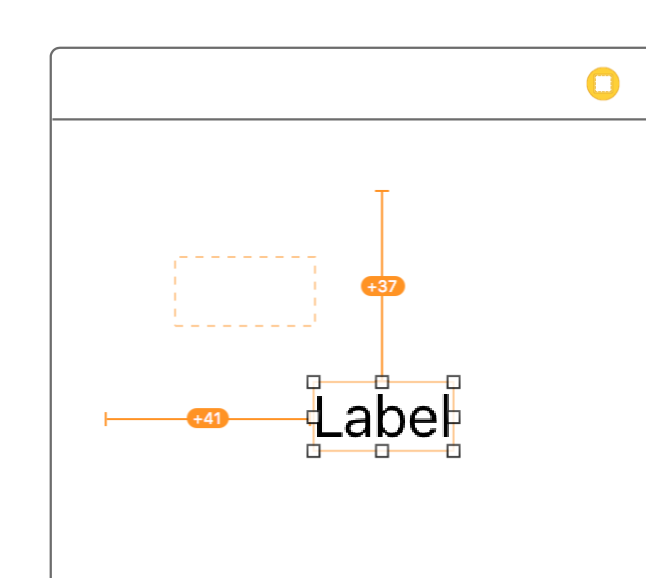 As you update the label’s settings in the Attribute Inspector, the label should update accordingly. These constraints are also pretty straightforward. We want the Image View and Button to be 20 pixels away from all of their neighbors. We specifically don’t need to add a top constraint to the button. 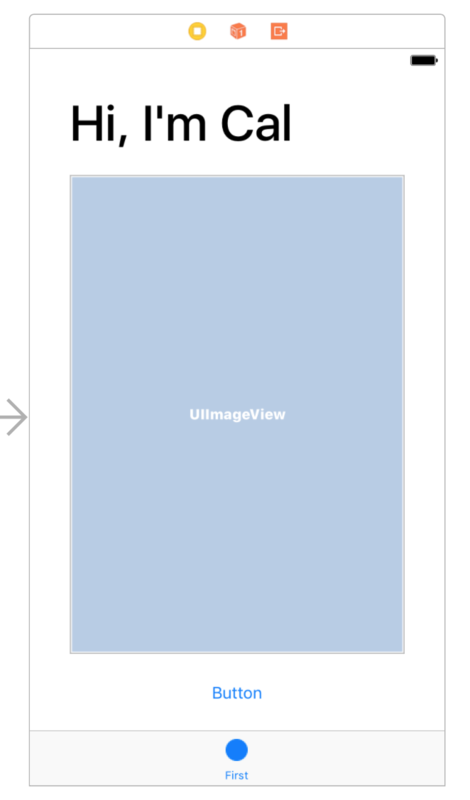 Since we already said “the image view is 20 pixels above the button”, it would be redundant to also say “the button is 20 pixels below the image view”. Since the label and the button have text, the both have an Intrinsic Size. Since the image view is empty, it doesn’t care what its size is. 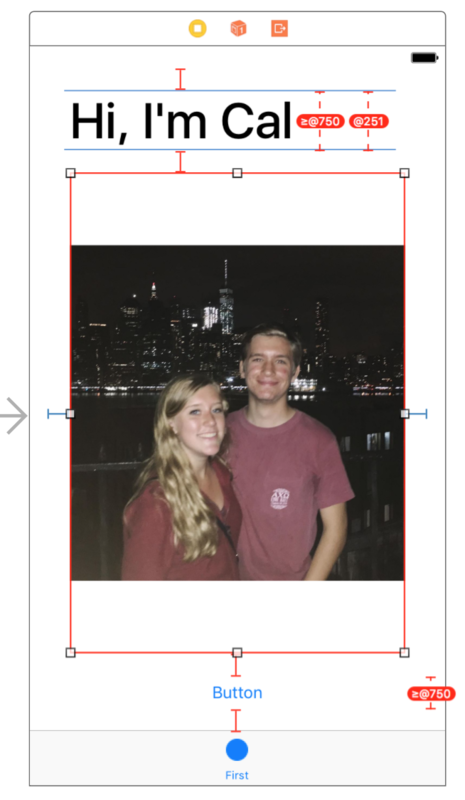 Autolayout will allow the label and button to be their natural size and the Image View will grow to fill the space in between. 1x, 2x, and 3x are related to pixel density. The original iPhone was 1x, a typical Retina Display is 2x (twice as many pixels for the same screen size), and the Plus phones are 3x. Normally, you would want to have different assets for each resolution, but we won’t worry about that for now. Back in the storyboard, you can select the Image View and choose the image we just added. You should also set the Content Mode to Aspect Fit so your image doesn’t get stretched out. Red is bad. It means your constraints are ambiguous or cannot be satisfied. Everything was alright a second ago, so what changed? 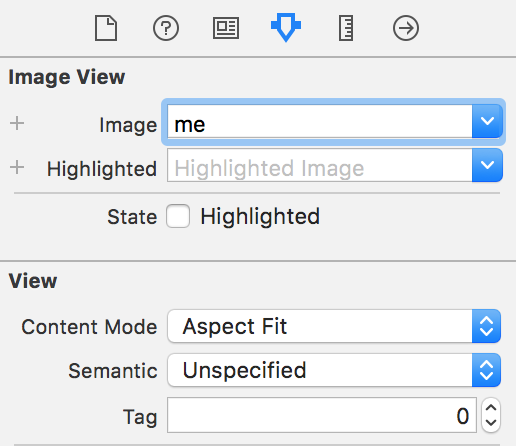 When there was no image in the Image View, it didn’t have an intrinsic size. The Image View didn’t care what size it was. Since it has an image now, it adopts the intrinsic size of that image. In my case, it’s intrinsic size is now (1200, 1200). 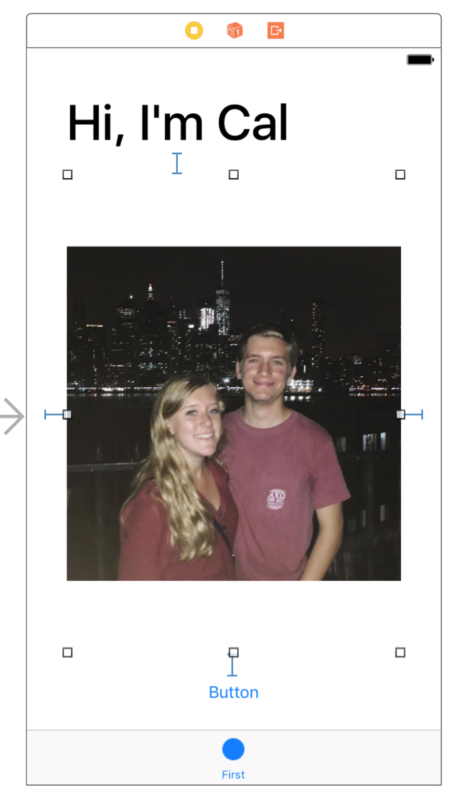 If the image view had it’s way, it would squish the label and button so it could be as large as possible. This is called Content Compression, and views resist compression when possible. Content Compression Resistance Priority (little bit of a mouthful) is a number between 1 and 1000 that defines how intensely a view resists compression. 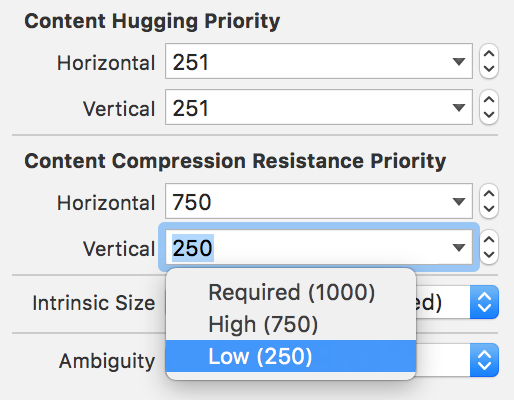 When two views compete for space, the one with the lowest resistance priority will be compressed. By default, all views have a Compression Resistance of 750. Since our label, image view, and button all have the same resistance, Autolayout doesn’t know which one it should force to compress. If we lower the image view’s Compression Resistance, Autolayout will know to compress the image view instead of the label or button. 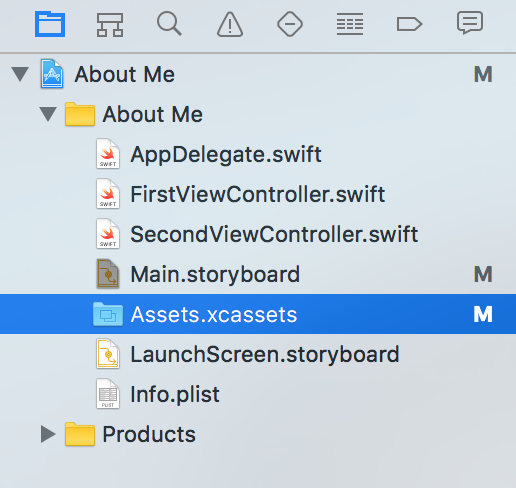 In Part 4, we’ll add another View Controller to our canvas.